Hey, February! How did we get here so quickly already? 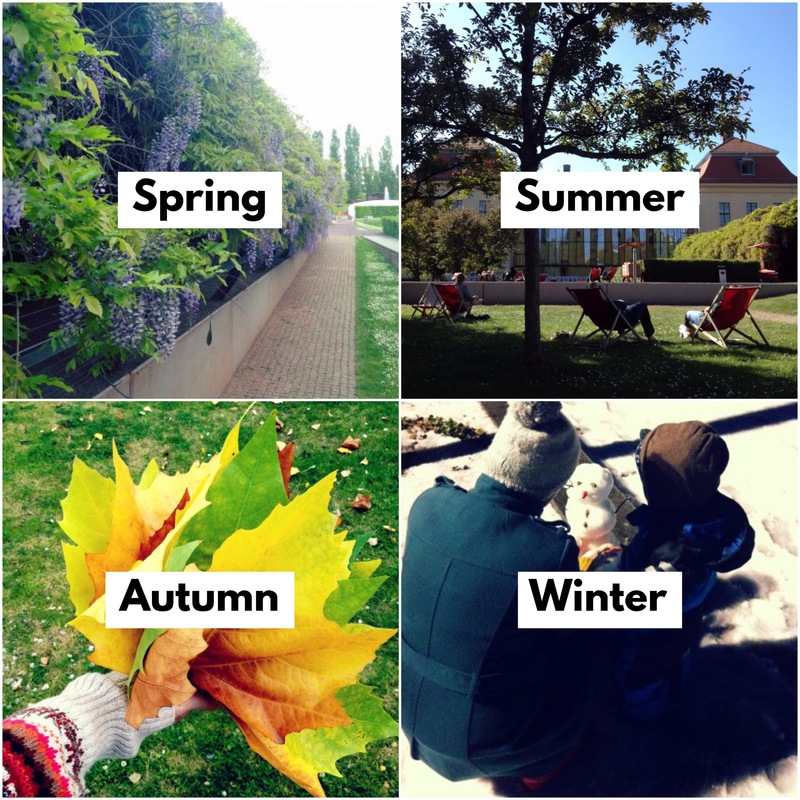 To mark the new month, I’ve decided to introduce a new feature to the blog. As you may or may not know, I’m very passionate about taking kids to museums, so I’m going to introduce a regular ‘Museum Monday’ slot, where I will be both drawing on material I’ve previously written about on my museum blog, as well as creating some brand new posts. And we’re going to kick off with one of our favourite museums in Berlin, the Jüdisches Museum Berlin (Jewish Museum Berlin). The Jüdisches Museum Berlin were our neighbours for four years – we lived just a few doors down from them – so we were frequent visitors from when my eldest was around 2 until he was almost 5 (then we moved to the other side of town and didn’t visit as often). Many people mistake it for a purely Holocaust focused museum and think it’s unsuitable for children, which is doing it a huge disservice. Of course, the museum covers the Holocaust, but is also covers 2000 further years of Jewish history, so is no different to taking your kids to any other kind of history museum. In fact, it’s better than many other history museums we’ve been to, because they have really taken the effort to include elements in most of the galleries that appeal to children without specifically turning it in to a ‘children’s museums’ or dumbing it down for other visitors. When my eldest was 4, we made this little video to show just how much fun kids can have there! Besides the galleries and exhibitions themselves, the museum also attracts many visitors for its building alone, which you may have caught sight of in the video, with its many unusual corners and angles designed by the famous architect Daniel Libeskind. It also boasts a big, covered courtyard and a lovely oasis of a garden, complete with a fountain, and deckchairs in summer. You are welcome to use both the courtyard and the garden free of charge, you only need to pay to go and see the exhibits. Since we didn’t have a garden of our own, we were frequent visitors there in all seasons and you can even bring your own picnic with you. 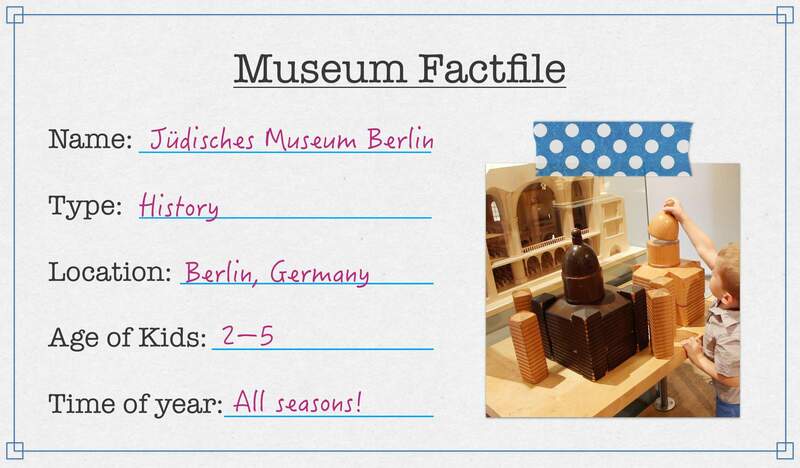 Have you ever visited the Jewish Museum Berlin? Or is it on your travel bucket list? I would love to hear about it! Please feel free to leave a comment or connect with me on Twitter or Instagram. This isn’t somewhere I’ve been even though I’ve visited Berlin many times! I’ll have to give it a visit next time I’m over there! As someone with Jewish heritage this was such an interesting read – I’d love to visit and take my daughter one day. We rarely visit museums to be honest. My children get bored really easy and need interactive things to keep them occupied. I bet it is a really interesting place to visit though. No we have never been. I love museums, this one looks fascinating! It isn’t somewhere we have been but it looks very interesting and I will add it to our list of places to visit! We have a tiny museum in our town, it is called the East Surrey Museum and it basically looks like an old victorian house. There are only a couple of rooms but I keep meaning to pop in with my kids soon. I love Museums I think you can learn so much especially thought that have interactive features for the kids.